I had a wonderful Christmas. I slept well the night before - most unusual - and woke at a suitable time. I had chocolate for breakfast, pork pies for lunch, then more chocolate, and then a three-game roast with oodles of veg and gravy, followed by a praline ice cream log. I felt as sick as a 5 year old by 9pm, and it was, frankly, wonderful. I sat hugging a plush highland cow my dad gave me while watching old Dad's Army, Blackadder and Some Mothers Do 'Ave 'Em Christmas specials in my PJs with Seeg. My sister brought her kiddies over at midday, and while I was dreading it, having already woken up with a mild headache, it turned out to be quite nice. Riley is seven and seems to be mellowing out - he wasn't stroppy yesterday, he was quiet and he didn't complain to go home when he got bored. Layton is two and a far happier child than Riley was at his age, and while I bought him a Thomas the Tank Engine toy my sister suggested for him, I also got him some jumbo crayons and he seemed more interested in those than the big gift. Seeg sat down and drew with him, and they both seemed to enjoy that. I got some really nice gifts this year, too. 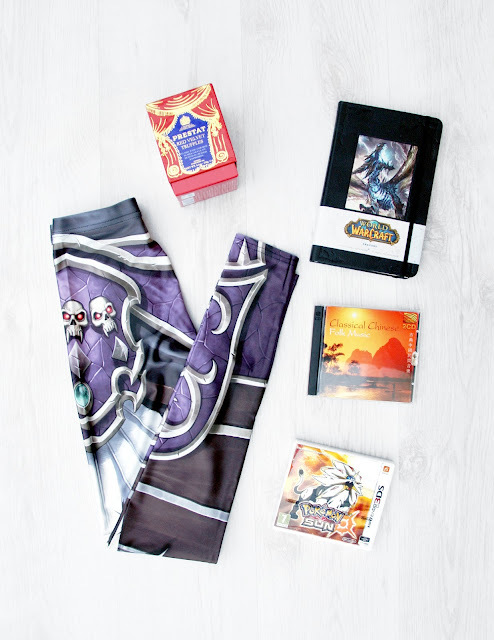 Seeg surprised me with, among other wonderful things, a beautiful CD of Chinese folk music, absolutely freaking beautiful, and, most surprisingly, a pair of Sylvanas leggings from Wild Bangarang. This was a huge surprise because this design sells out fast, but he got them from Blizzard rather than Wild Bangarang's site. I've wanted them for so very long, and I really didn't think he'd have got them because they haven't been in stock at all for months, so that was a massive surprise. 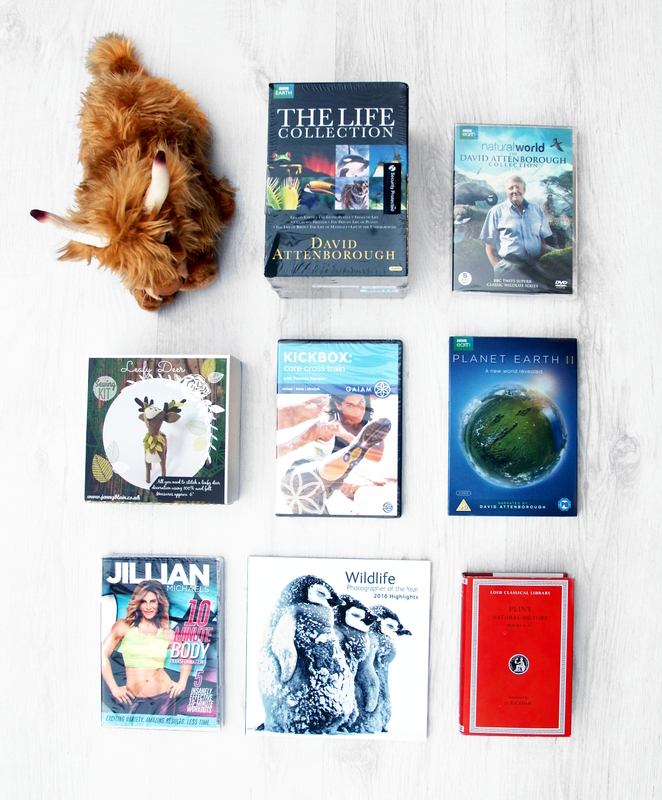 My dad outdid himself, too, with Planet Earth 2, the Natural World box set, and the Life Collection, giving me over 80 hours of new Attenborough documentaries. He also got me a book I'd wanted for ages - Pliny The Elder's Natural History books 8-11, zoology - and a lovely plush of a highland cow! My sister also got me some beautiful notebooks - sometimes, when I hit writer's block, working directly on paper rather than a laptop can be a huge mind-clearer - and the first season of The Clangers' reboot. I got more chocolate than I know what to do with, and I ate, frankly, beyond capacity. It's the one day a year - the one day a year - when I don't worry about what I eat nor how much. I eat well all year long, and I don't skip my workouts over Christmas either. If anything, they increase in length and intensity in an effort to reduce the impact of the season. It was a wonderfully uncomfortable experience, and I slipped into my jimjams early for the mercy of a stretchy waistband. And the festivities don't stop here, either. It's Seeg's birthday on Wednesday, which means more celebration (if certainly more well-behaved eating, the only exception being big burgers for dinner). New Year means nothing more than another roast dinner (yipee! ), so that barely counts, but then it's my birthday on January 9th - which means pizza, ice cream and a whole box of chocolates. But believe me, by this point, I want to eat healthily. In fact, I'm feeling that desire today, already, and I jumped eagerly onto level 3 of Killer Buns & Thighs this morning - which, by the way, I nailed. I hope everyone had a wonderful Christmas day, and that you have a calm, quiet boxing day. 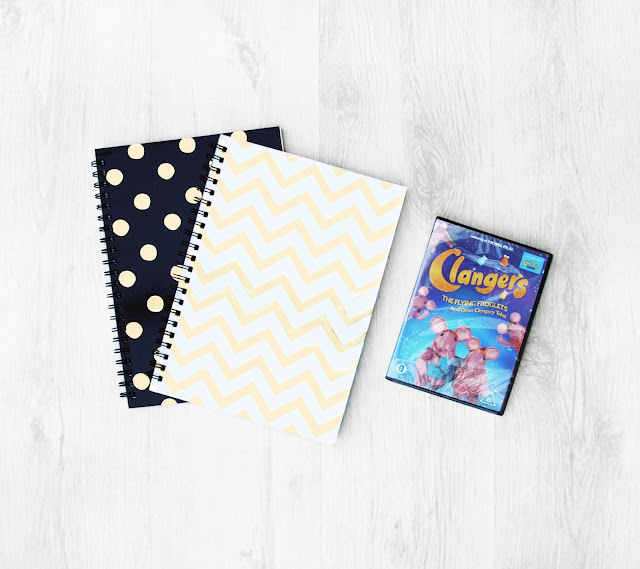 Did you get anything unexpectedly good? Or unexpectedly bad? Or was there something you were hoping for that you're snatching up in the sales instead?